I remember Lance once expressing his outright detestation of Rushdie. I think he went so far as to threaten boycott in the event any of us picked one of Rushdie’s novels. But how could we not? The man is arguably one of literature’s most fascinating personages. 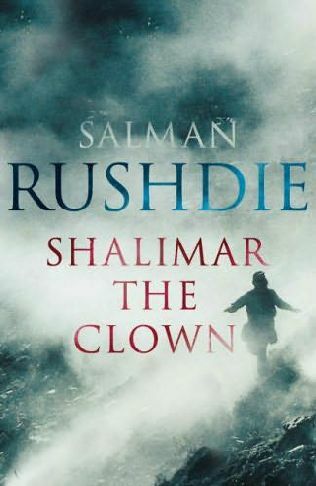 As you likely know if you’re reading this bit – here on a site dedicated to fiction – Rushdie was the subject of an Iranian fatwa (death sentence) declaimed by the Ayatollah Khomeini after the publication of his novel ‘The Satanic Verses’ in the late ’80s. Perceived sleights against Islam, it seems, didn’t go over too well at that time either. Hmmm…what to say about that? Nothing here, to be certain. In our closed room this chilly January night? Well…that was another story. Volatile, as you can imagine. Very volatile. And interestingly enough, somewhat polarizing in ways. Enough said. ‘Shalimar’ was, I think, merely an ok story in the eyes of the gang. The writing was highly praised, the characters lauded, but the overall experience was perceived to be somewhat lacking, if I recall correctly. Our heated debates rages around external subject matter that was dredged up over the course of understanding culture, time and place, but wasn’t specific to opinions about the tale itself. On that we presented a fairly united front. Good solid…seven and a half (not really…just quoting ‘Beautiful Girls’ and driving home the mediocre, lukewarm reception). Random notes: Wish we’d had Lance here for this one.